We’re four days into this Lent. I’m “giving up” several things, some of which I’ll talk about on here. I’m also watching for God everywhere, thanks to this series. Watching for God may prove the most beneficial discipline for me this Lent. Of course, we “should” always watch for God, right? But I’m old enough to know that 1)we never do all that we “should” (though we can choke to death on the guilt over what we’re not doing), and 2)our lives are a constant cycle of renewal as we discover and rediscover the things that feed us, strengthen us, and restore our hope. Right now I’m hearing many people struggle to remain hopeful. What practices have you drifted away from that give life to your spirit? It may be time to return to one or more, not because you “should,” but because your soul is parched. 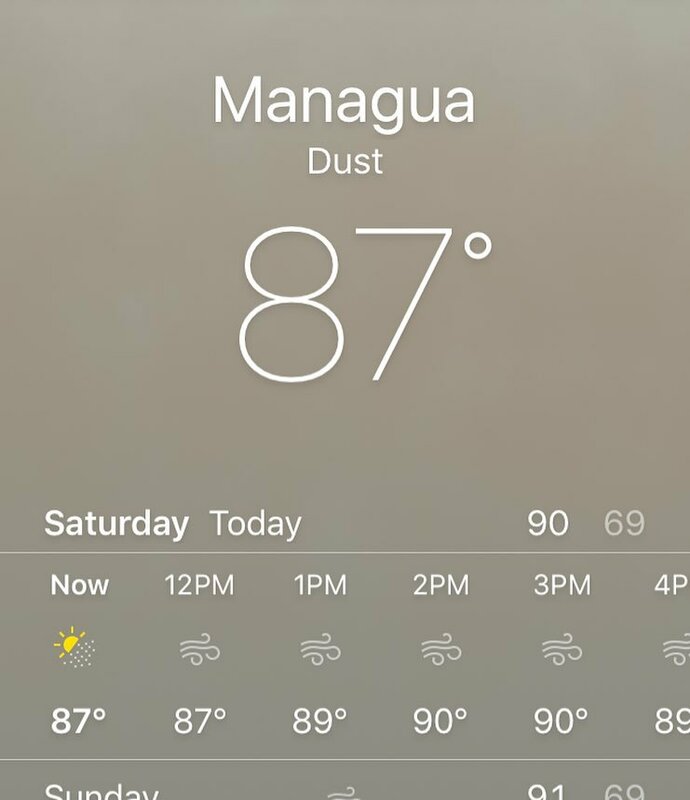 If you didn’t know “dust” was a weather condition, you probably don’t live in Managua. Today’s reflection is simple: Our lives are different when we do the things that help us see God. Of course, God is always present—even though I’m going to do several posts on God’s absence and mean every word of them–but that doesn’t mean I can always see where God is. Most of my students report that they pray “some,” throughout the day, but few keep a committed time to spend with God. I can’t prove this, but I’m convinced we are different people when we pray. I can’t prove it because I can’t take a day starting with prayer and that same day without and compare them side by side. But I see differently when I pray. I react to people differently. When I have done my best (or maybe even my averagest) to set my eyes on God, doing so changes how I see everyone else. For me, the problem is I can’t see this difference over one or two days. It feels the same. But when I go for longer stretches, the difference becomes startling. Almost scary. If that’s true, why would i ever go weeks without spending a set chunk of time with God? Fine question. Why do we do any of those things that we “know better” than to do? Sometimes it’s outrageous sin in my life that keeps me from praying. Most often, it’s dust. Just this recurring layer of grit and grime and polvo that covers my life and it’s tiring to sweep again because I just swept! 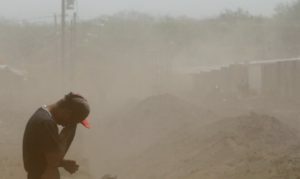 Everyone who lives in Managua (and all you desert folks) know exactly what I’m describing. Miracles are fabulous. Even everyday miracles can encourage and restore us. But the real encounter with God is when I sit down–or take a walk–and try to be with God, whether I feel like it or not, whether I can sense God with me or not. Ultimately, this encounter changes me the most.